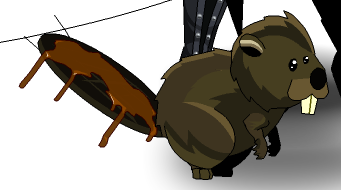 Description: This cute little critter couldn't wait for the Thanksgiving feast, and dove right into the gravy! Happy Canadian Thanksgiving Day! Canadian Thanksgiving 2012 rare!